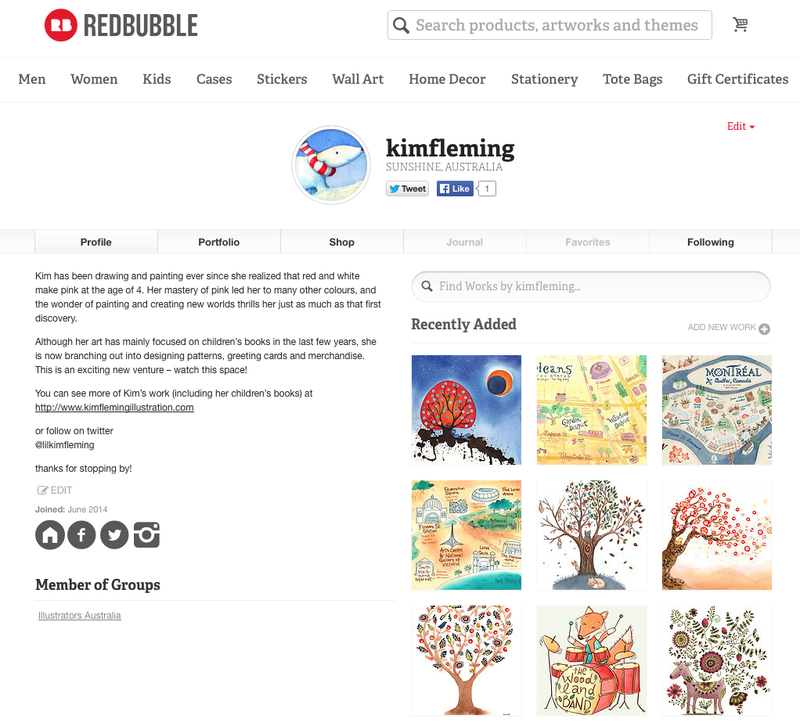 I'm an illustrator and budding children's book writer living in Melbourne, Australia. I like using watercolours, ink, pencil, collage and acrylics to create layered illustrations of whimsy. I enjoy create cute characters and sweet scenes. Please feel free to check out my website and blog for my latest adventures. This gallery contains 20 pictures, click a picture to view a larger size. I am new here to Jacketflap, so looking to make friends so we can help each other by sharing and liking Facebook pages, websites, and also thoughts and ideas, as we are aiming at a similar age group. Here is a link to my FB page it would be great if you could like, and even better if you could share, and I will be happy to reciprocate. I love the sweetness of your work. It makes me happy to look at. Great work and good luck. Hey Kim, good to have you as a friend! Glad you got the magnets and such, enjoy. Have a great Christmas as well (is it Christmas down under?). Welcome to JacketFlap. Hope you are as happy as we are here!